A1-cbiss was born in 1989 as a systems integrator of emissions monitoring systems. To this day, a1-cbiss continues to go from strength to strength. a1-cbiss are able to offer a wide range of gas detection & cems solutions because of the knowledge and experience of the sales and support teams. a1-cbiss have been in business since 1989 and now serve hundreds of customers within a variety of industrial markets including; oil & gas, food & beverage manufacturing, energy from waste, power generation, shipping & marine, petrochemical and wastewater. Alpha Suite Inc is a USA based OEM which designs, develops, and supplies scientific instruments utilized in gas sampling and monitoring applications, mostly associated with process emissions. Specific instrumentation includes In-Situ Dilution Extractive Probes, Ex-Situ Diluting Modules, Precise Low-Flow (“Low Pressure”) Direct Extractive Probes, Probe Heaters, Critical Orifices (Sonic Orifices), Related Instruments, Spare Parts, Maintenance and Repair Services. These instruments are most commonly used in Smoke Stack CEMS (Continuous Emissions Monitoring Systems), RATA or similar Test Audit Compliance, Process Monitoring, and specialized Laboratory Applications. ANKERSMID® is well-known in the industry for more than 30 years now with subsidiaries in several countries (Netherlands, France, China, Romania, Germany, Korea etc.) and more than 100 employees world-wide assures ANKERSMID® in a leading position in the field of gas sampling and laboratory equipment. All products such as gas sample probes, gas coolers, compact conditioning systems, universal filters, NOx-converters etc. are designed and manufactured by ANKERSMID® Sampling Belgium. ANKERSMID® offering includes the most complete range of CEMS sampling system components and accessories completed with the versatile ABYSS series gas analysers. The modular and universal design of the CEMS components and accessories empowers cost effective, reliable and innovative system integration. 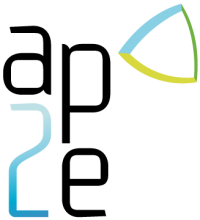 AP2E was founded in 2006 following development of partnerships with research centres for the transfer of innovative technologies at the service of industrial companies. AP2E designs and manufactures the ProCeas® & LaserCEM® analyser product lines, featuring the patented LPS (Low Pressure Sampling) and using the exclusive OFCEAS technology (Optical Feedback Cavity Enhanced Absorption Spectroscopy, filed by the Joseph Fourier University in France). Technological Innovation and long term experience in providing Integrated Online Gas Analysis Solutions for industries, research centres and governmental authorities. ChemDAQ Inc. designs, manufactures and sells fixed gas detection systems for occupational safety to under-served markets such as healthcare, medical device manufacturing and the food and beverage industries. ChemDAQ comprehensive solution provider including continuous monitoring, area sample monitoring, data recording, and unparalleled technical support. ChemDAQ’s flagship product- Steri-Trac® provides continuous monitoring where you need it most. Each Steri-Trac monitor is a fully functioning gas detection instrument with large, easy to understand displays and customer configurable alarms. Complementing Steri-Trac, we offer a number of peripherals which enables us to customize your design to fit your unique facility needs. Dado lab was established in 2013 by a team of experienced and knowledgeable engineers passionated by environmental monitoring and stack emission applications. Three decades of experience in the field of high technology Gas Generators: Leman Instruments SAS is a company specializing in the creation, development, production and marketing of components, modules of scientific equipment involved in the analysis of solids, liquids and gases. Leman Instruments focuses on the production of standard products, OEMs, and in custom designed realisation. The company is located in France in the Archamps Technopole, in the Geneva area. madur electronics was founded in 1984 in Vienna, Austria and now is worldwide recognised manufacturer of gas analysis equipment. At the beginning, it was gathering all the activities of the company, i.e. : sales, production, service, R&D. After 10 years, in 1994, madur Polska Sp. z o.o. was founded. At the beginning, it was a small R&D group with prototypes’ site. During the years, it was more convenient to move the production and service closer to the R&D department, to provide our customers the most advanced solutions, and the fastest possible and the most professional service and technical support. Since the beginning of 2013 our headquarters is located in Poland. Full company name: madur Polska Sp. z o.o. MonitoringSystems GmbH manufactures and supplies sampling devices and equipment for fine dust, POP (dioxins, PCBs, PAHs,…) and other environmentally hazardous pollutants to enable the gaining of accurate data for stationary sources and ambient air, for the long-term and the short-term sampling in accordance to various standards. The DioxinMonitoringSystem® device has been developed in the early 1990s by the present owners of the company. The equipment is available on the market since 1993 with remarkable growing success. PCF Elettronica S.r.l. studies, designs, develops and manufactures high tech analyzers and systems to monitor the pollution. The Company’s engineering capabilities can be of great help in evaluating and solving the applications problems of each Customers. Thanks to the inner specialized resources, our turnkey systems can include the installation, the commissioning and the after sale assistance. In case of multiple sites systems we can propose remote control for diagnostics and reconfigurations. Recently (2010) we moved from the historical site in ‘Via F.lli Savio’ to a new site where we have more room available as well as the possibility to manufacture, in door, large size automatic systems. 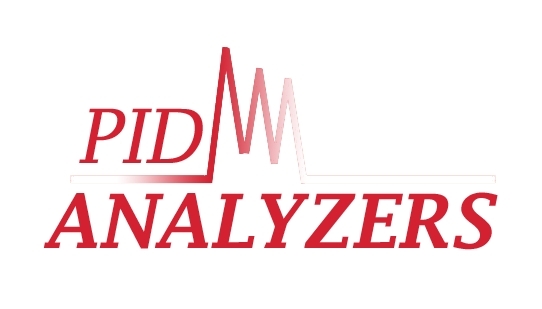 PID Analyzers develops sensors & analyzers for air, water and process applications and sells these products worldwide. The sensor technologies include photoionization, infrared, electrochemistry, catalytic combustion, flame ionization, capacitance, thermal conductivity, process gas chromatography… Many of our analyzers are multifunctional and include multiple technologies. RUBIX S&I is an analytical company dedicated, via a full portfolio of devices of services, like IOT modules, on-line instruments, data metrics to the monitoring of Indoor and Outdoor, Toxic, nuisances, safety and wellness at work. RUBIX has more than 100 man years of experience in sensors and particularly in gas sensors, VOC and odours. RUBIX S&I is now one of the major leaders in wellness and Comfort monitoring with an online building mapping of physicals, chemicals and biologicals nuisances. RUBIX capitalizes, as well, on this expertise to develop customized miniaturized multi sensors devices for environmental, intelligent home, or Health. SERES Environnement is one of the major actors in the field of monitoring analysers dedicated to Water and Air quality control. SERES Environment aims to capitalize on all these markets and more especially on the emerging markets, where they hold a strong position thanks to a proficient network of agents and distributors. SERES Environnement outstanding experience and attentiveness to customers’ needs are important assets in meeting our everyday industrial and commercial challenges. SETNAG was founded in 1986 by Michel Gantès, its current Executive Director, to develop and market a specific oxygen sensor, which is now called MicroPoas®. MicroPoas® is a sensor with a built-in metal reference, meaning that it does not require any reference gas. This gives several advantages: miniaturization, autonomy towards outside environment, high metrological performances, use in extreme environments (extreme temperature and pressure), longer life span, etc. The technology has been continuously advanced and improved in order to meet SETNAG customers’ requirements. SETNAG designs and manufactures oxygen analysers to control combustion and processes. Its analysers are in use in many fields such as waste incineration, industry, fundamental research, heat treatment, power generation, pure gas production, food processing industry, pharmaceutical and cosmetic industries. Confronted with the problem of access to drinking water in several developing countries, Sunwaterlife designs simple and pragmatic technical solutions to ensure potable water supply to the population and organisation in the need.